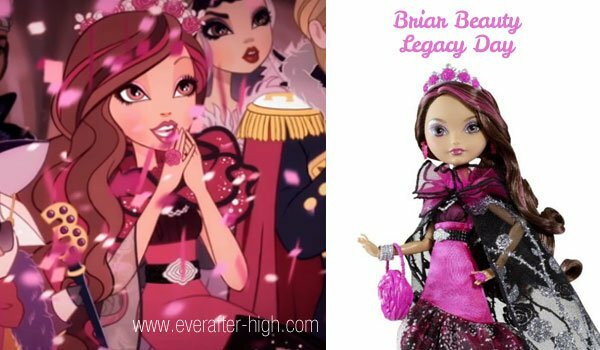 How beautiful she looks, Briar Beauty on her Legacy Day outfit, the day she will decide to continue her pledge with her legacy of her mother’s tale: the Sleeping Beauty. She wears a pink mermaid dress with black belt and translucent tulle skirt endings. Her black cape rounds her neck with a big adn pink petal-like collar. A rose pattern sparkles all along her cape. Her purse is a round rose shape and all of her jewels are made of silver with pink roses. Her hair one sided pulled down with a roses crown at the top of her head. 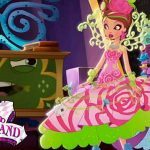 Here you can see the beautiful Briar Beauty legacy day box like it was a book. 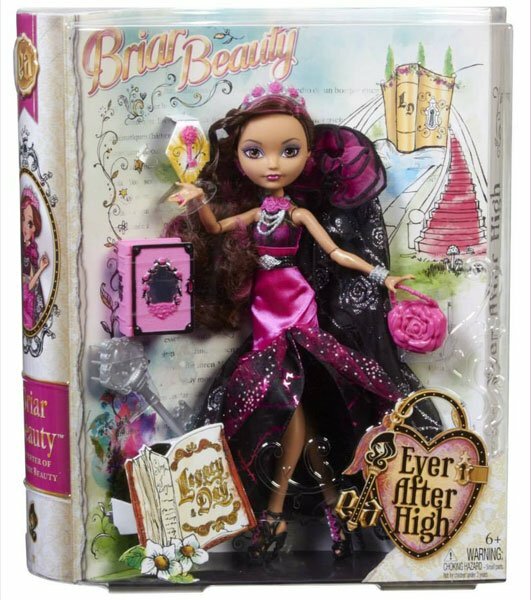 Ever After High Dolls in legacy day come with doll stand, a key-brush and a little book, jewells and purse accessory. 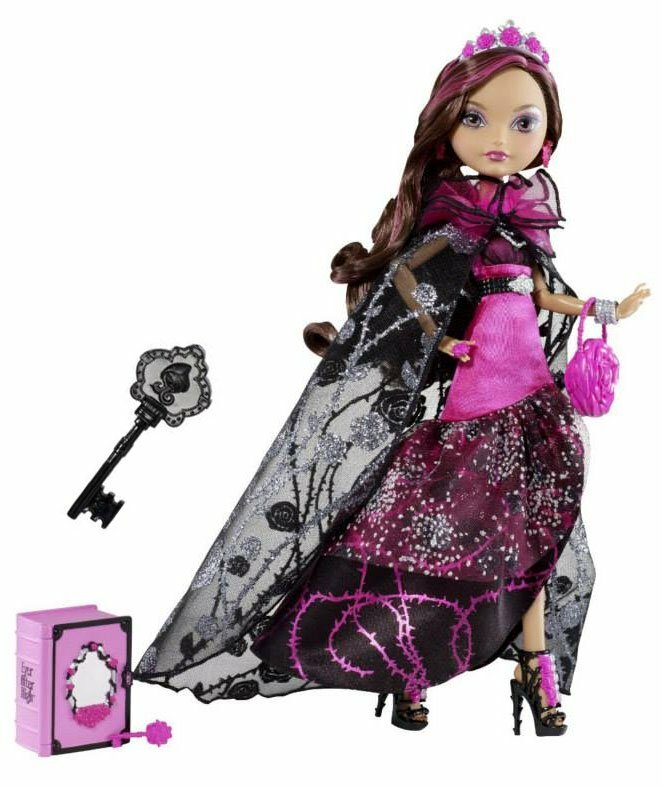 Look at the detailed rose purse and the beautiful boots with pink fancy decoration. If I’m gonna be catching Z’s for a hundred years, I gotta live it up now! legacy Day and would like to know where I can do that and how much it costs. I live in Barrie, Ontario. 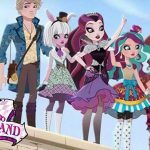 In the Legacy Day webisode, Duchess Swan is sitting behind Briar. and I have this doll and she is so pretty.